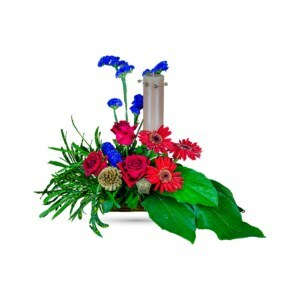 Make a design statement with our contemporary presentation of fresh flowers – perfect for sending to someone with a definite flair! Each of the flowers of Confetti Explosion speaks volumes about you, the sender. This is the kind of lavishness which is hard not to appreciate. 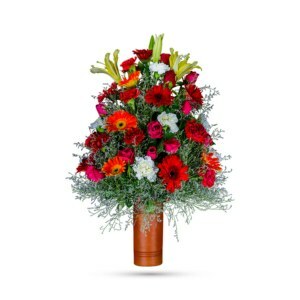 Richly hued red gerberas and roses, yellow lilies and blue statice flowers arrive in an exclusive bamboo vase adorned with luscious delicate greens. It will be one sweet treat! There’s big news, and you want to celebrate. Confetti Explosion is the perfect bouquet for any anniversaries, birthdays, and most importantly – for any explosion of good news. 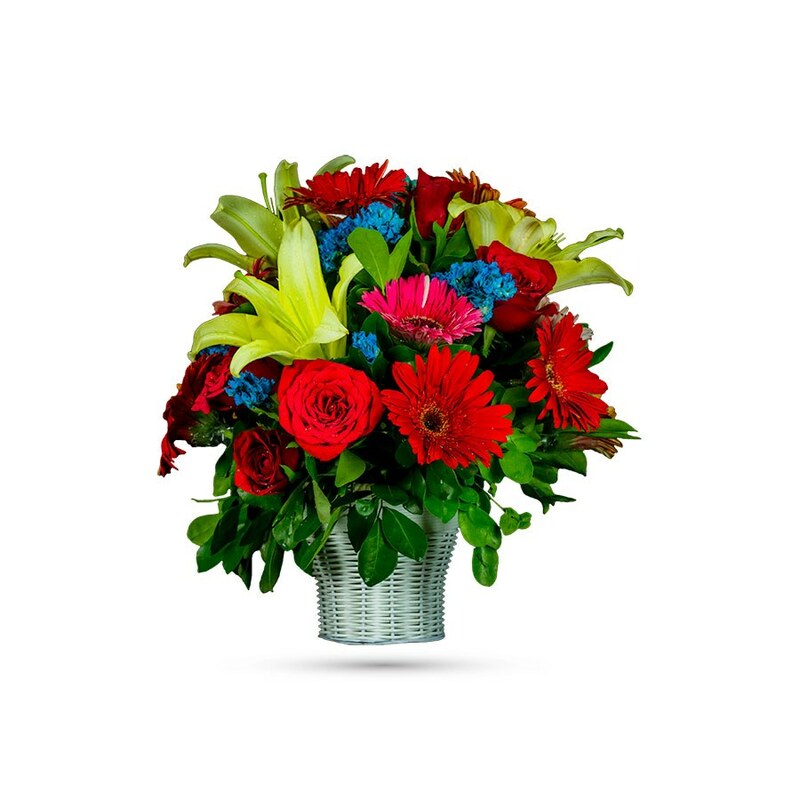 What can add more to the thrill of it all than our bright, bold and beautiful bouquet? 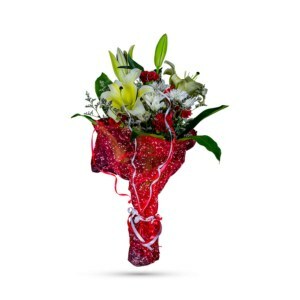 Exceed your loved ones expectation with our eye-catching bouquet and extract a big warm smile from them today. 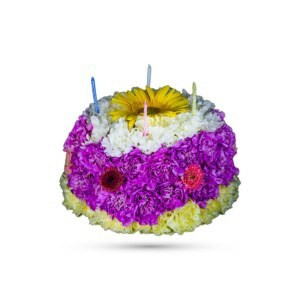 Order our arrangement online via our website and they’ll be delivered t your desired destination personally.